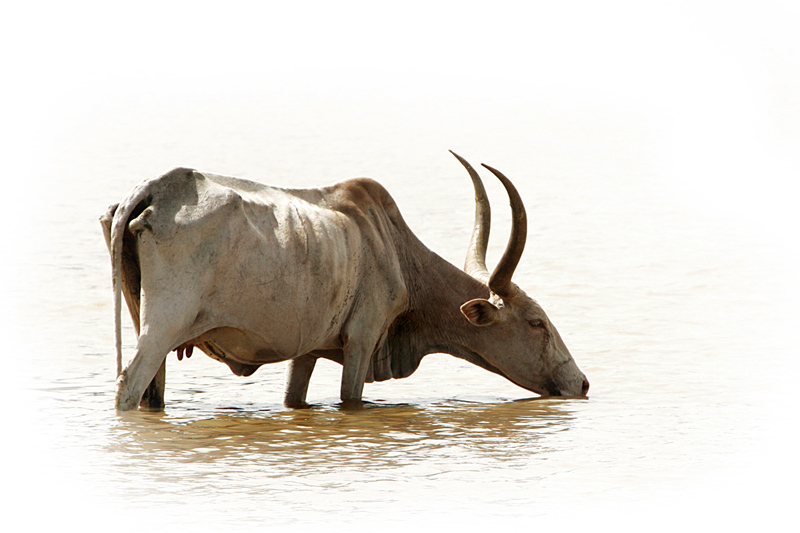 A Zebu (humped) cow, the predominate breed of cattle in central and northern Senegal, is also central to the Fulani culture. Fulani pastoralists identify themselves by the herds they manage. The size of their herd is a measure of their wealth, especially when it comes to cattle. Fulani are connected to their herds in what they believe is a symbiotic relationship that acknowledges one cannot exist without the other.